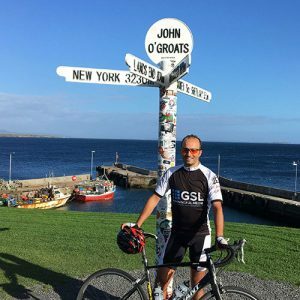 Thanks to everyone that sponsored Gavin riding from Land’s End to John O’Groats. You helped raise an amazing £2,897.00 for the Cystic Fibrosis Trust. The GSL team undertake several charity challenges a year, so watch out for us getting involved in raft races, bike rides and pretty much any other fun event you can think of – whilst raising money for good causes.